The latest Forrester Wave on Digital Intelligence platforms is out The forrester Wave: Digital Intelligence Platforms, Q2 '17. It is no surprise that Adobe is leading the gang, again. 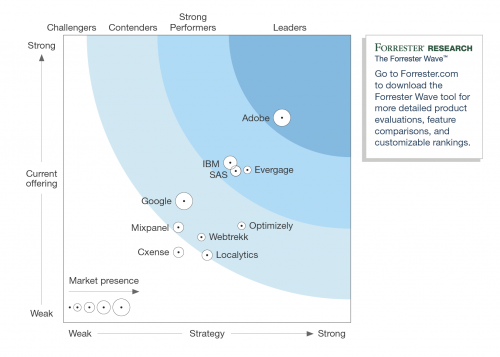 It seems they are leading almost every Forrester Wave that is out. But it is also fully justified: they are one of the only vendors that have actually managed to integrate all their different solutions into one efficient platform, but also offer them as standalone solutions. This latest research on Digital Intelligence Platforms is not purely focusing on digital analytics solutions, but goes way broader. Hence the evolution of the market and its maturity growth. It would make sense to me that only solutions that have capabilities in all 3 areas would be included. But apparently for this research it was good enough to be active in only 1 area to be selected. As a consequence, I personally find this comparison completely irrelevant. Of course Optimizely and Mixpanel will score far less than Adobe. Optimizely is a pure optimisation player and Mixpanel an event driven behaviour analytics solution. 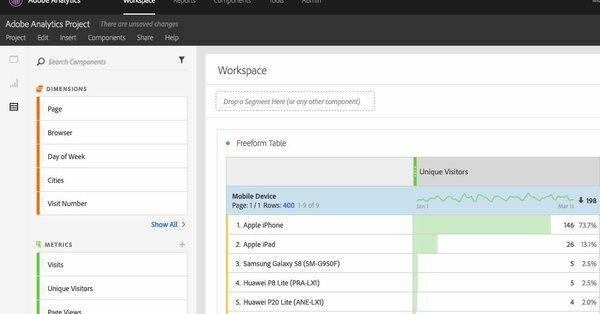 While Adobe brings (integrated) data management, analytics and optimisation capabilities to the table. It’s comparing a car to a bicycle. But the Wave included some more surprises. Although Google competes in each of the 3 capabilities, and provides integrated solutions (Tag Manager, Analytics, Optimize, BigQuery, Attribution, …), they are perceived only as a Contender, and not even as a Strong Performer anymore (compared to the Digital Analytics Wave of 2014). Both on a strategic level as well as looking at the current offering, vendors such as IBM and SAS are perceived as stronger competitors than Google. Based on my experience as stakeholder and decision maker in multiple RFP procedures, I find this evaluation quite strange. In fact, I have no idea why IBM is still present in these market researches. 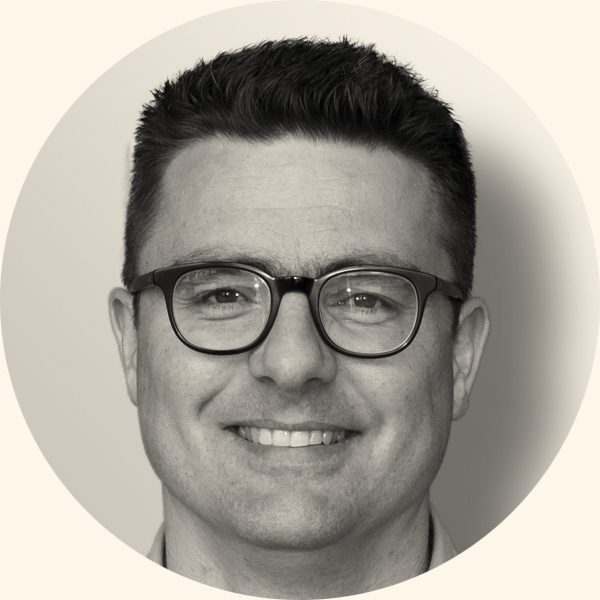 Their Watson platform is pretty cool, but most of their other solutions require so heavy maintenance and so NOT agile in the current and future digital space where companies need to (re-)act quick. Anyway, on a slightly more tragic note: for the first time in decades, Webtrends is no longer part of the solutions that are included in this research. This is the end of an era…! Although we all saw it coming: Webtrends analytics was still based on log file analysis, and the long announced Infinity Suite wasn’t ready to go to market. So the acquisition of the Infinity Suite by Oracle in March 2017 wasn’t really a surprise. I had expected it much earlier. But expectations are high on the future Oracle offering and what they will bring to the table. The Infinity Suite setup was very promising, and I am confident that they will become a strong contender for the current digital intelligence platforms, although the success will also depend on the level of integrations that Oracle will develop. And what about Webtrends? Will they disappear forever? I guess not. 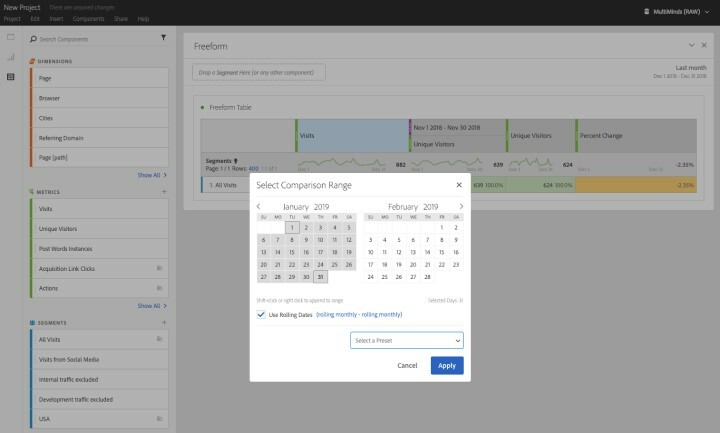 They still have a solid client base, but more with the optimize solution than with the former analytics solution. And as Webtrends was especially offering full services around Optimize, my guess is that they will build a (new) company around this offering. So if even Optimizely is included in this Forrester Wave, we’ll probably see Webtrends back as well next time. As well as Oracle, as one of the contenders. Anyway, I do find these Forrester researches valuable but more for the individual scores per evaluated functionality than on a global level. And I found out about 2 solutions that are new for me: Cxense and Evergage. I have never heard of them before, but on first sight, they look interesting. I’m curious to hear your opinion about the latest Forrester Wave. Or your experience with Cxense and Evergage. Feel free to share your thoughts below in the comment section! Is your company ready for the GDPR? As the co-founder and analytics lead, I am committed to bring my experience to the team. My goal is to create a place where people thrive, have a chance to grow, and help our clients push boundaries.